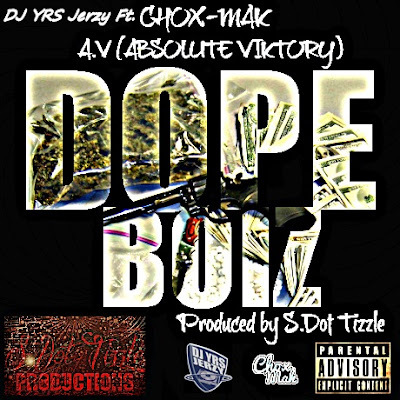 AUDIO: DJ YRS Jerzy Ft. Chox-Mak & Absolute Viktory - "Dope Boiz"
DJ YRS Jerzy And Chox-Mak have been taking over underground hip hop for a while now this time they brought Absolute Viktory along with them. Their new track "Dope Boiz" has been getting alot of great feedback and they decided it was time to take it to the next level. This new track "Dope Boiz" is a song that will take you back to the 90's with a little bit of 80's feel to it. S Dot Tizzle is the genius behind the beat it is an all around dope track that everyone can vibe to.